Beejom, by Aparna Rajagopal is a step towards clean healthy living in the city. A natural farm and an animal sanctuary, Beejom is completely self-sustained, down to the production of their own electricity. So take out a few hours from your busy day and head to Beejom for a wholesome, green experience! Feeling unpatriotic? Go to Beejom and acquaint yourself with the 12 indigenous cow breeds with exciting stories to their quirky names. If not in the mood for a meet-cow, visit the farm for the pigs, hens, goats or Jhakaas, the friendly donkey! All animals prove their worth on the farm and provide food for conversation with their little idiosyncrasies and funny stories. 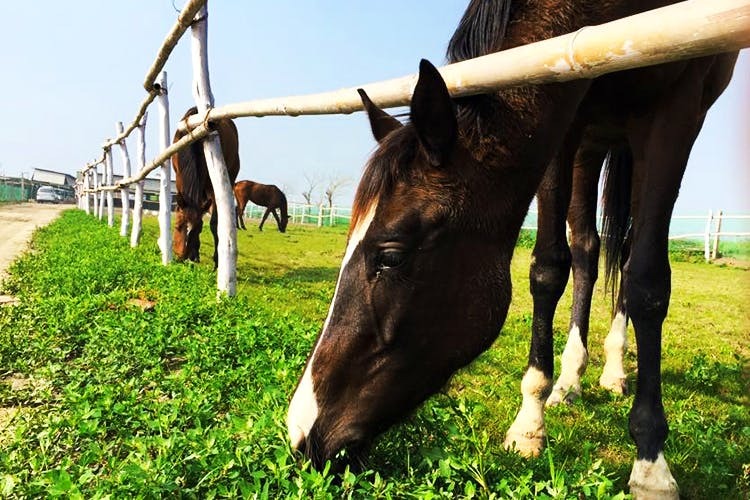 Take a horse ride around the farm and take back some stories for those stuck in the abyss of the urban world. The farm is not only worth a trip for the fauna, but also for the vegetables and grains grown which are sold at the Beejom shop and even delivered occasionally. You can even eat what they grow in the lunches provided for groups on prior notice on the farm or learn how to grow and cook it in the workshops given on the farm! Venture out of the corporate jungle for a taste of the green life at Beejom and take back some farm fresh goodies for your dinner table!